Apple has been witnessing a decline in iPhone sales across the globe for the last few months, primarily due to its high pricing standards in away markets and the advent of affordable flagship smartphones from the likes of OnePlus and Huawei. According to reports, the Cupertino based company has considered many options — from price drops to better bundled offers — in order to boost sale in markets like India. Likewise Apple has today announced a new partnership with Cashify for boosting iPhone XR sales in the country. Under the offer interested buyers will be able to purchase an iPhone XR for an effective monthly cost of just Rs 1,999 per month, using Citi Credit Cards or Axis Bank cards. Potential buyers can head down to Apple Authorized reseller stores to get an instant discount up to Rs 5,300 and exchange their old smartphone for an iPhone XR using Cashify exchange offers at these stores. Cashify is offering up to Rs 25,000 on the exchange of old phones. This is in addition to the instant discount and bank offers (10 percent cashback on EMI & Non EMI on Citi Credit Cards and Axis Bank Debit & Credit Cards). 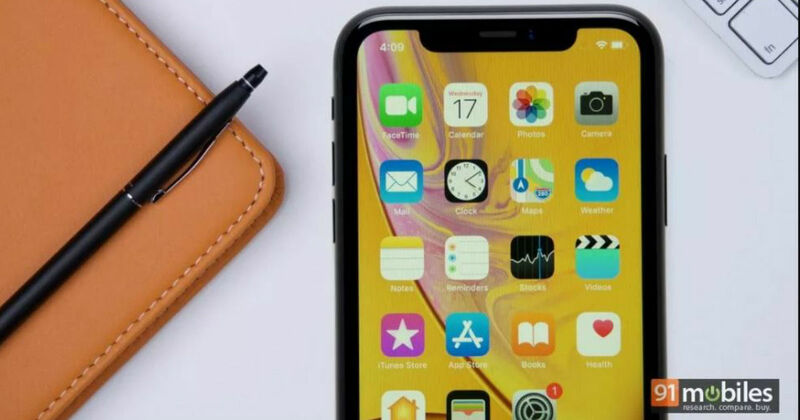 Although this offer is available for all iPhone models including iPhone XS and XS Max, their effective monthly cost will be higher than that of iPhone XR. The most affordable of the 2018 iPhone lineup, the iPhone XR uses the same processor as its pricier siblings coupled with 3GB RAM and 64GB/128GB/256GB storage options. The major way it differs from XS and XS Max is the display. iPhone XR makes uses of a LCD screen instead of the OLED panel and a single rear 12MP camera.